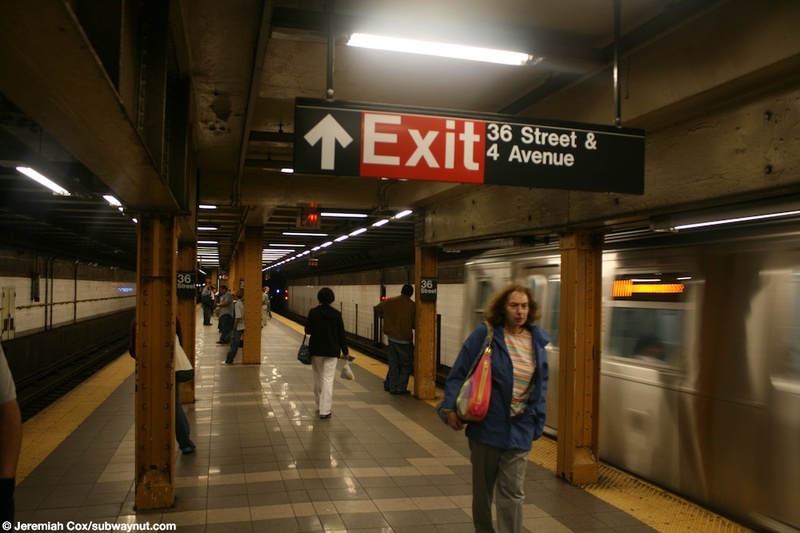 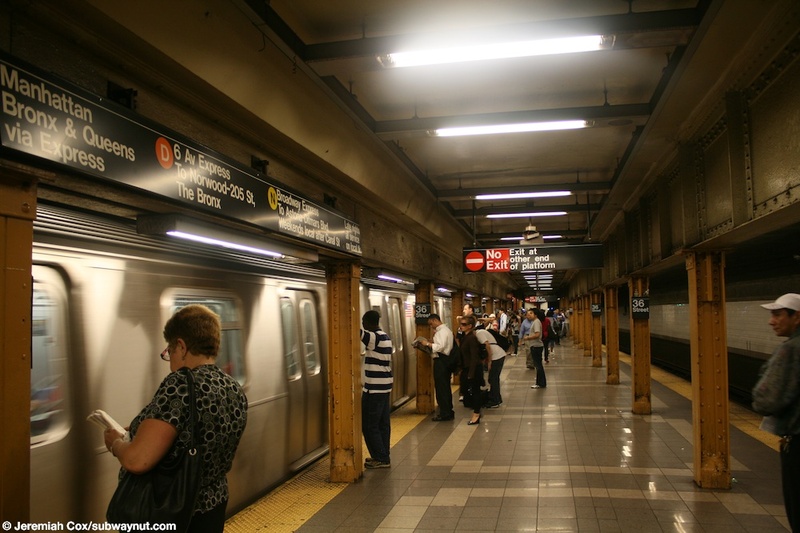 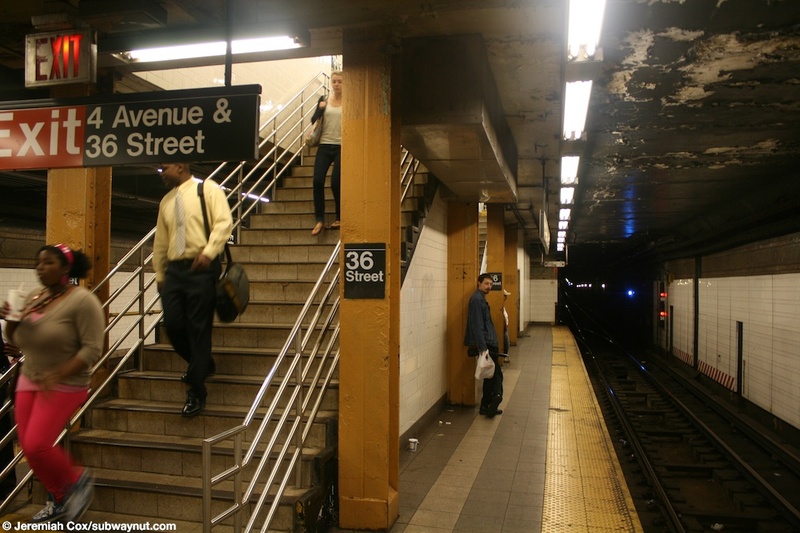 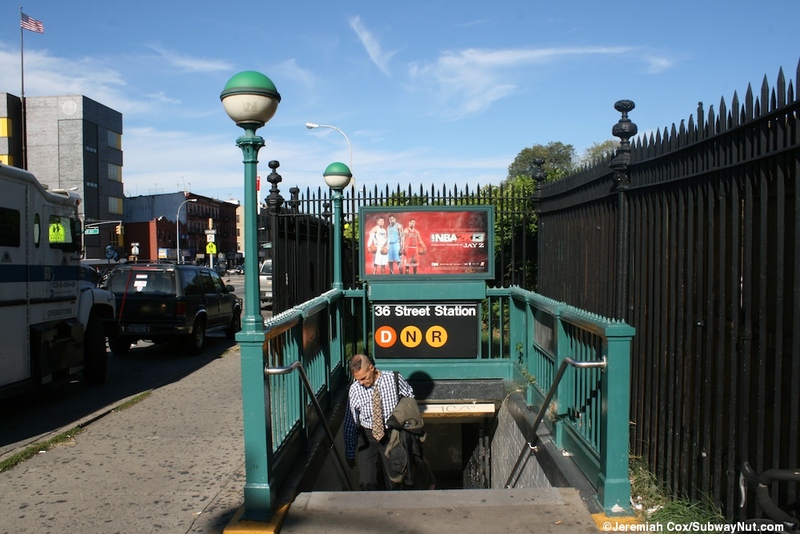 36th Street is an express stop on the 4th Avenue Subway, and is a major transfer point between trains to the various branches and between locals and expresses. 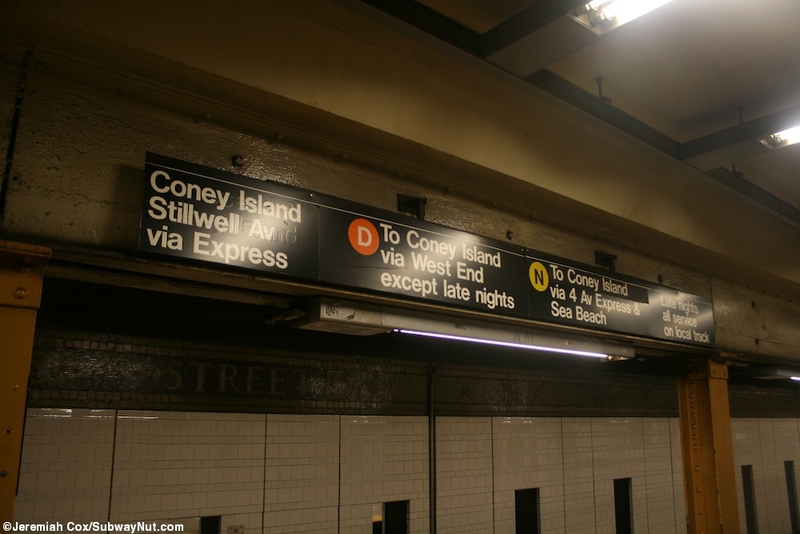 The station has two fairly narrow island platforms that are definitely not designed for the crowds that are scene today. 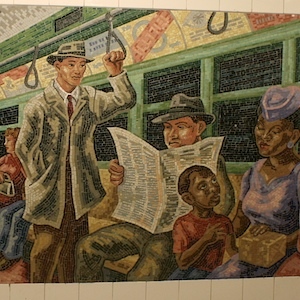 The station was quite recently renovated, as the mosaic murals on the small mezzanine area attests to. 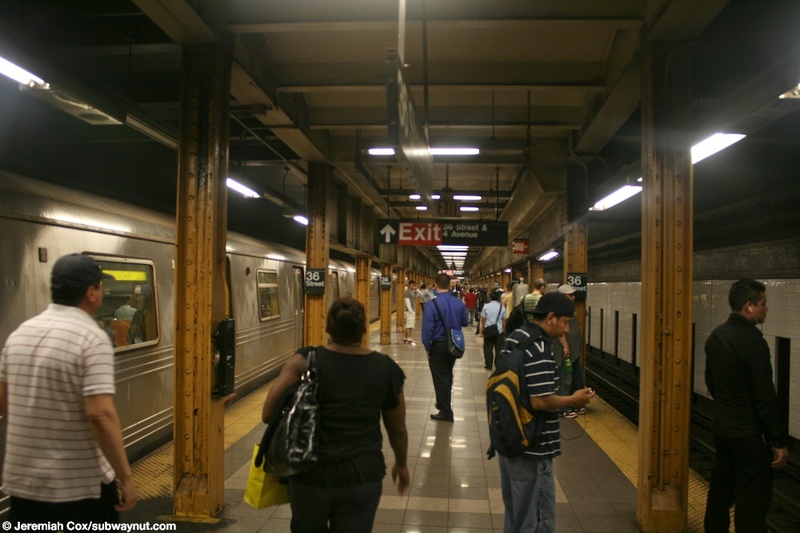 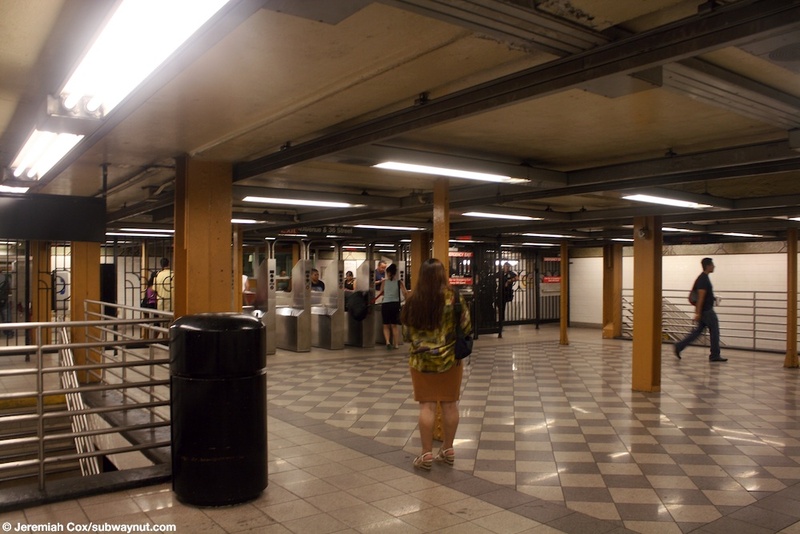 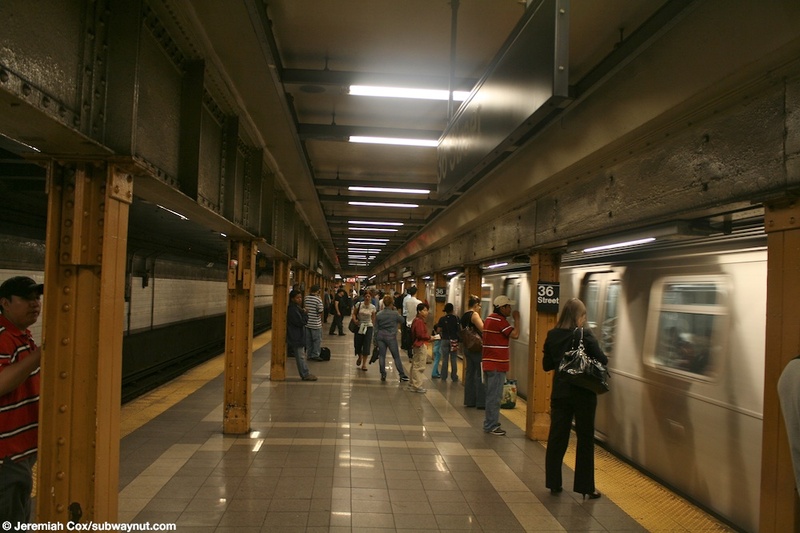 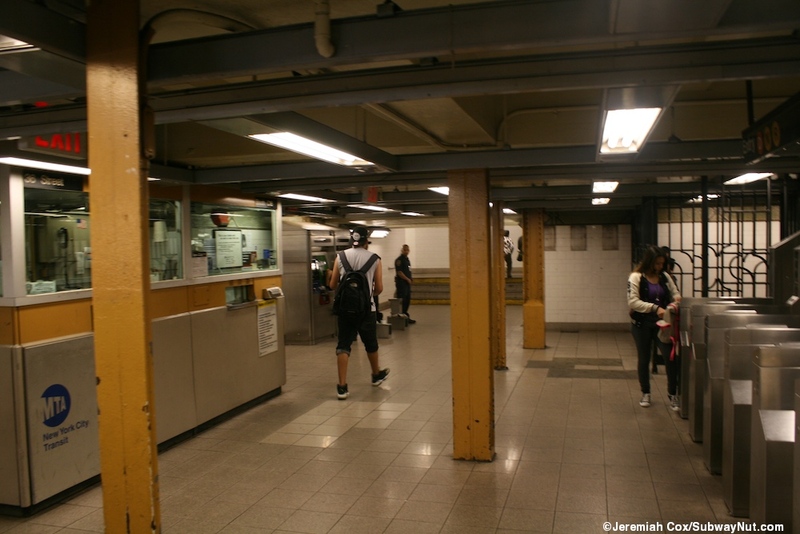 This mezzanine area is at the extreme southern end of the platforms, and is accessed from two staircases that are right on top of one anther, and has the stations only bank of turnstiles and exits to 36 Street and 4 Avenue. 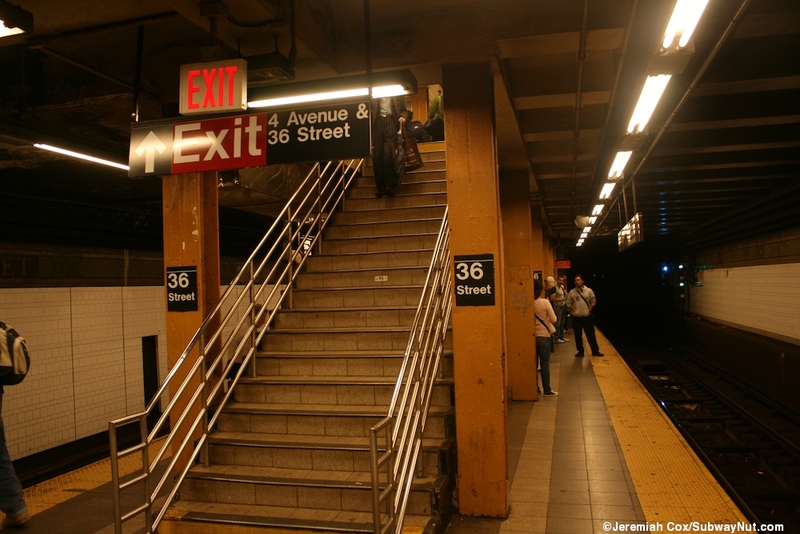 There are three streetstairs, two are on west side of 4th Avenue, one at the NW corner of 36th Street and one in the middle of the block between 36th and 35th Streets. 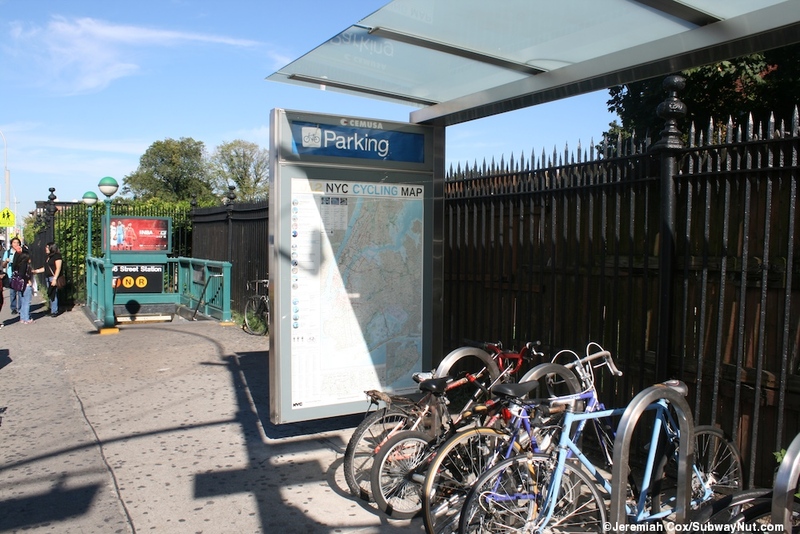 The final one is a short ways down 4th Avenue from the NE corner of 36th Street and 4th Avenue, beyond a bike parking rack and shelter along the sidewalk. 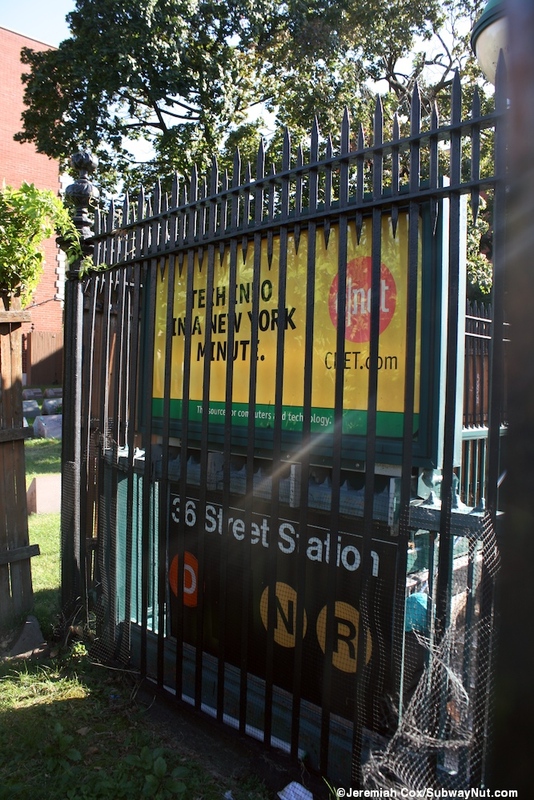 This streetstair is also along the fencing of an odd little extension of the huge Green-Wood Cemetary that includes its maintance shop. 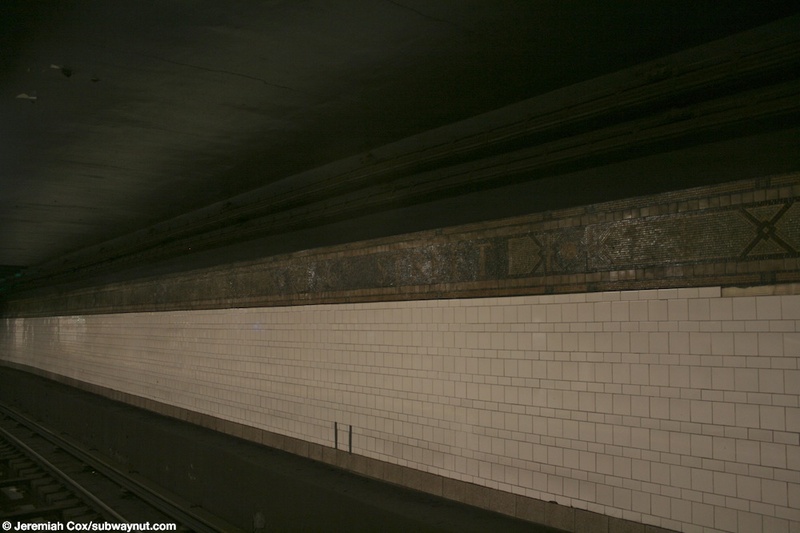 There is the standard tiled wall between the express tracks towards the southern end of the station, but its just exposed towards the northern end where the platforms were extended. 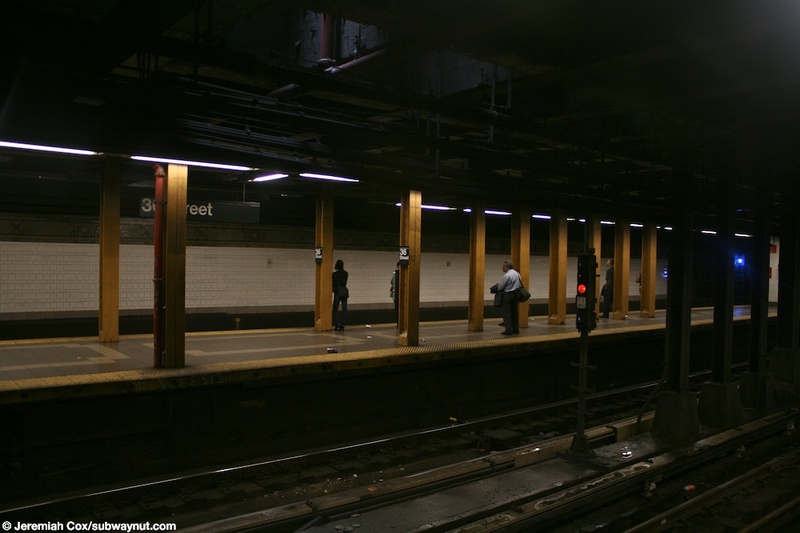 The platforms have various yellow I-beam columns whose configurations very depending upon which part of the platform you're at. 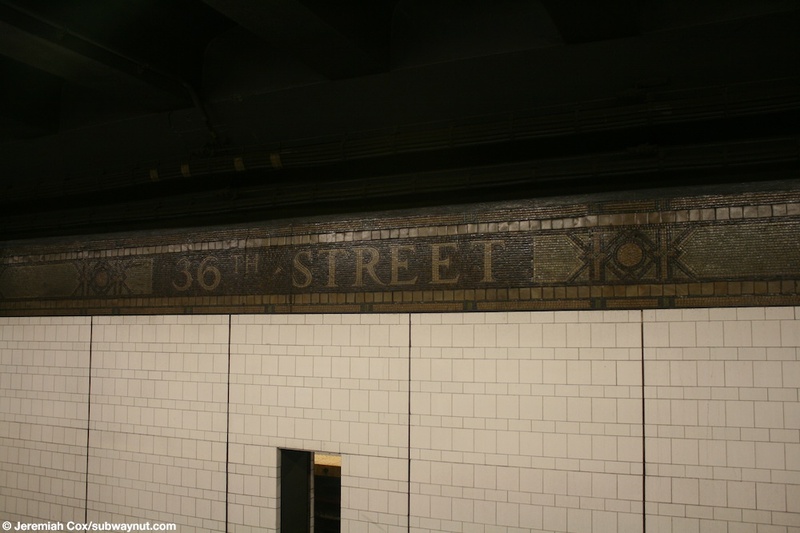 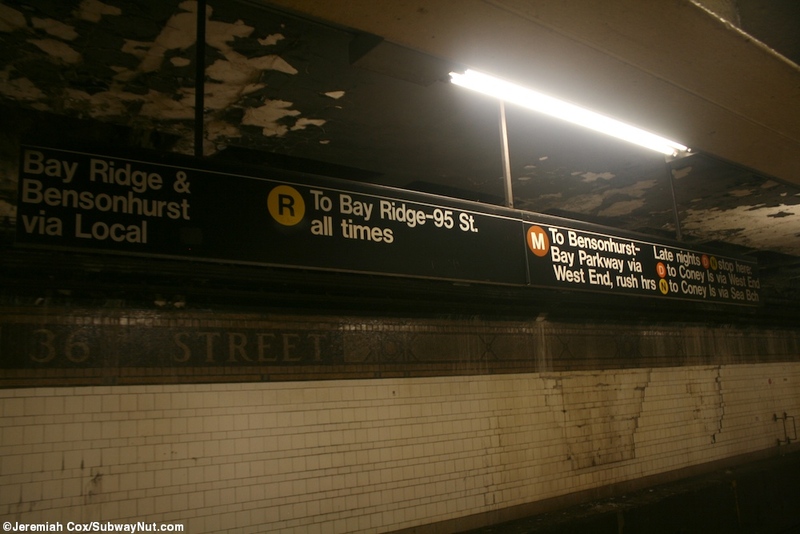 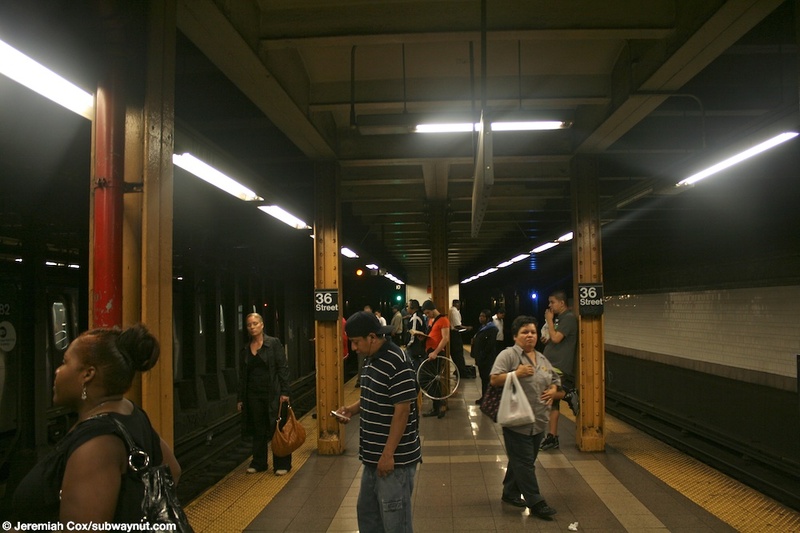 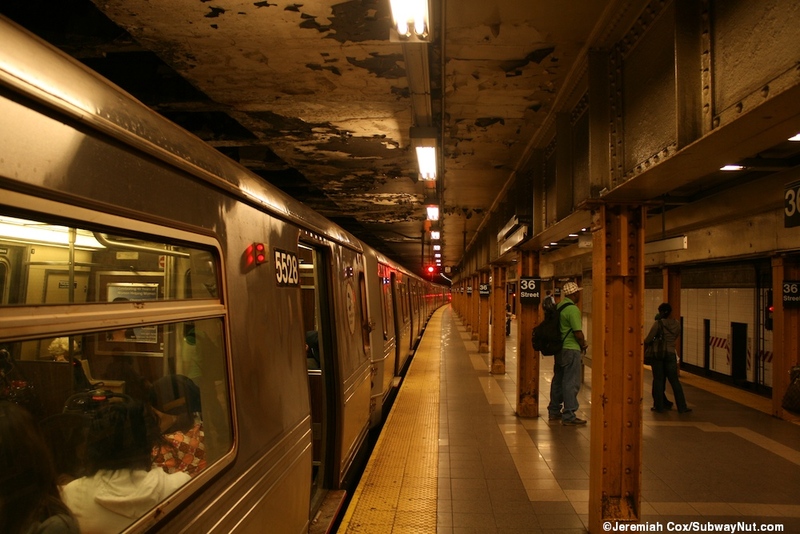 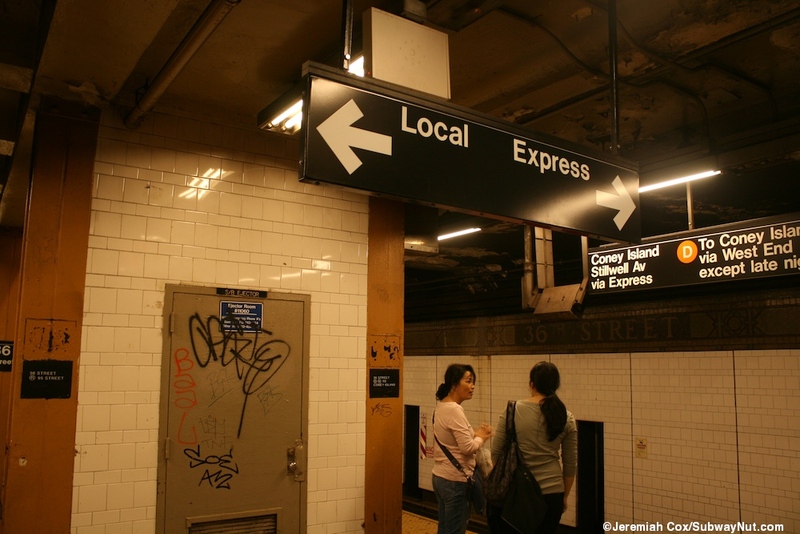 All station walls (and the wall between the express tracks where it exists) have white tiling and a very dark mostly brown with some hints of a dark green, and 36th Street text spelled inside the trim line between its various decorative shapes. 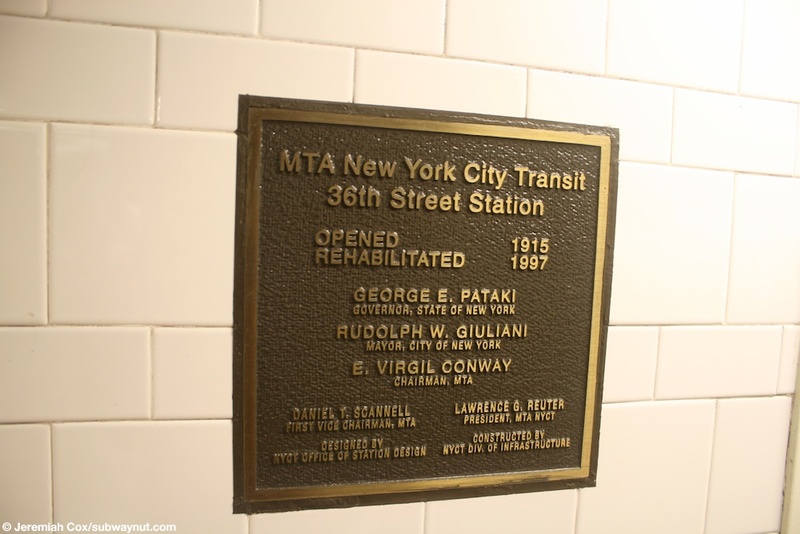 The colors within the trim line and especially the text spelling out 36th Street is extremely hard to see.